60# white sulphite paper are printed in non-photo blue grids. 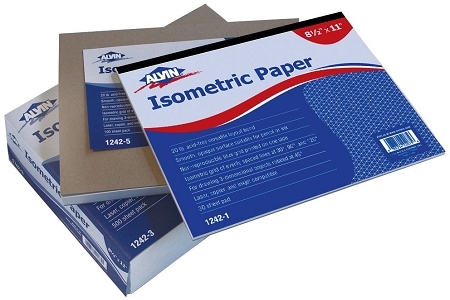 Ideal for mechanical drawing or design needs, especially machine design, architecture and patent office drafting. Drawings on these sheets can be scaled in three main directions, the axes of which are 120° apart, one being vertical, the other at 30° from the horizontal.